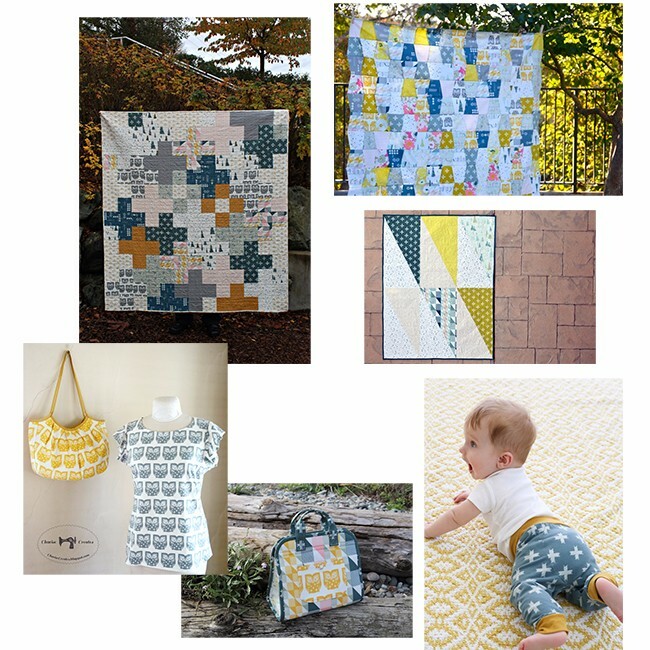 We have a plus quilt from Debbie, knit baby pants from Jess, a top and bag from Charise, a Maker’s Tote by Jade, a tumbler quilt top from Amanda, and a modern baby quilt from Kari. 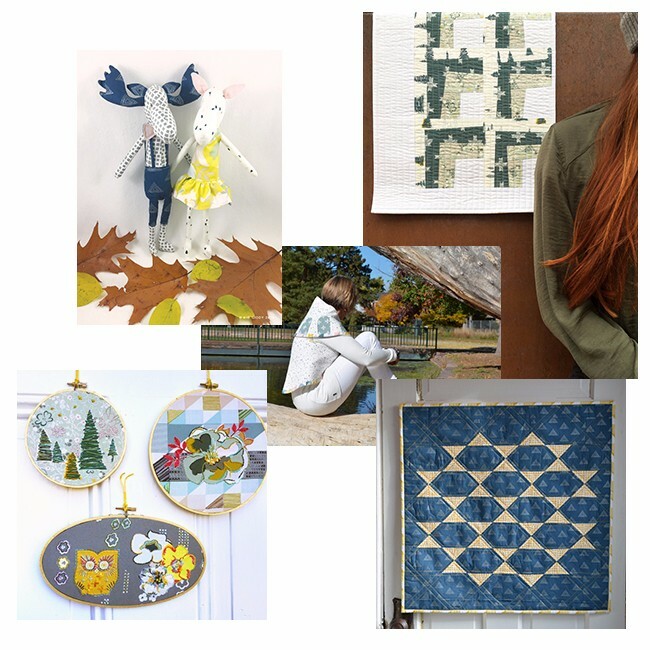 We saw Stephanie make a quilted garment, Christopher a mini quilt, Kerry a moose couple, Nichole a hoop trio and a pillow cover from Krista. Thank you to all the participants, to Pat and to those of you who followed the tour!